Have a bountiful crop of lavender from your garden, local farmer’s market, or a trip to a lavender farm, but not sure what to do with it? 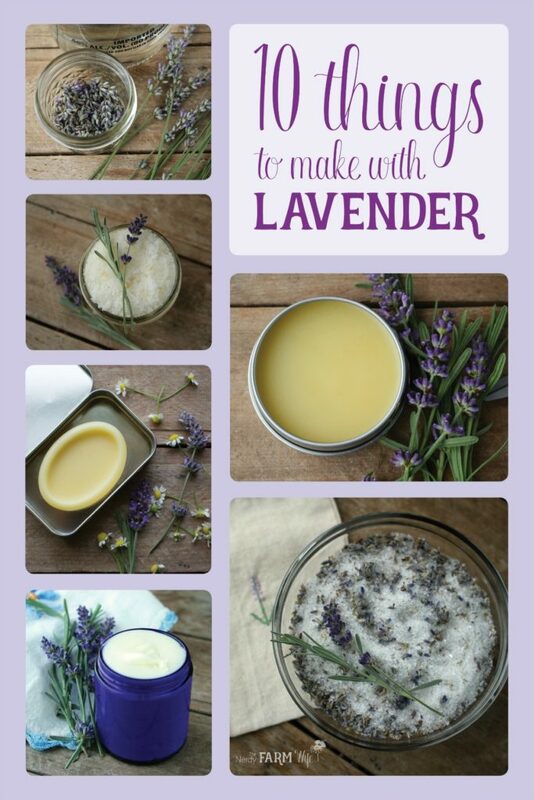 Here are 10 useful and pretty things that you can make with lavender so you can continue to enjoy it for months to come! If you don’t have lavender available locally, no problem! 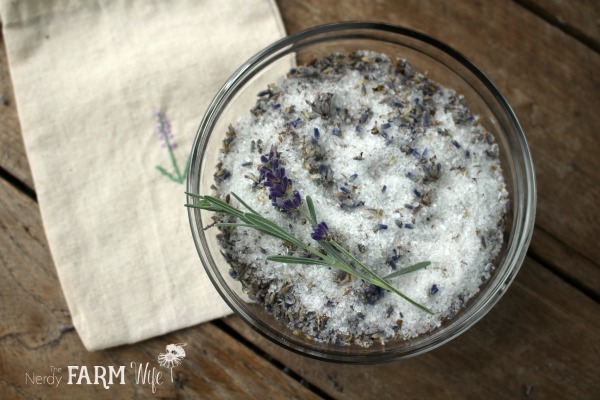 You can purchase organic dried lavender from Mountain Rose Herbs which will work perfectly in every one of these recipes. 1. Some of these projects require dried lavender. To dry flowers and herbs, I usually just spread them out in single layers on paper towels or clean dish towels and let them air dry for several days. 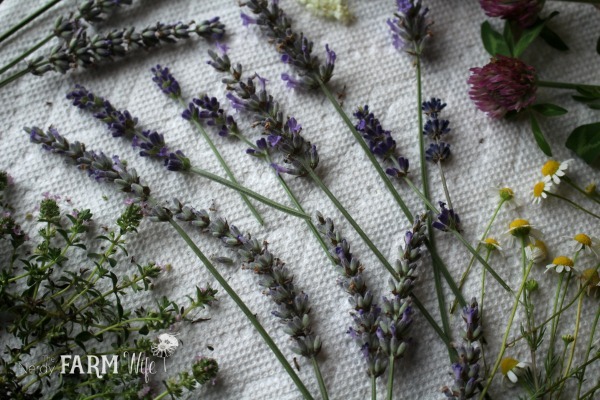 You could also tie your lavender in small bundles and hang them up until dry. 2. To print this post, scroll down until you see a green “Print Friendly” button. 4. 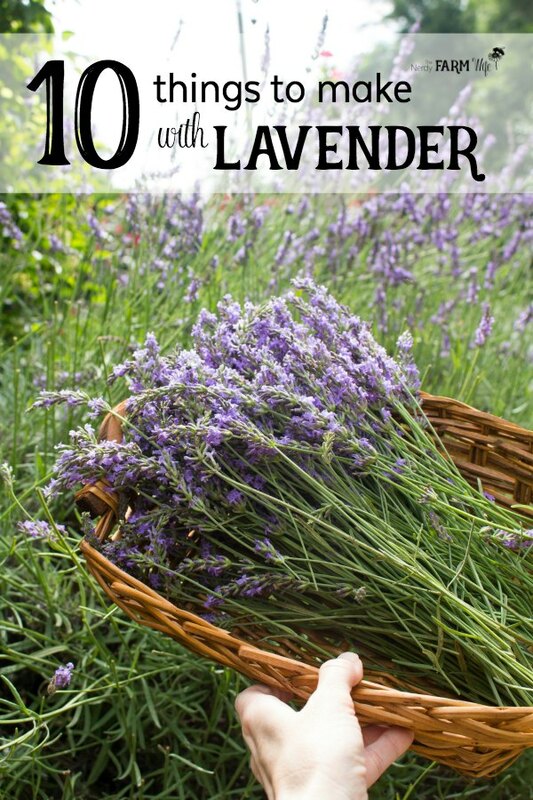 If you’re interested in growing your own beautiful lavender plants, check out this great Lavender Care Guide: How to Grow Lavandula Angustifolia. 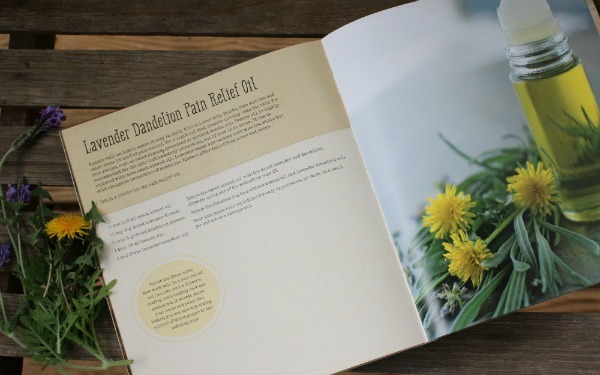 This lavender infused oil can be massaged onto restless legs, dabbed on itchy bug bites, rubbed into flaky scalps and used as an ingredient in recipes for salves, lotions, creams, soaps and such. Shelf life of strained, infused oil is around 9 months to a year. For a quick infusion: Set the uncovered jar down into a small saucepan filled with a few inches of water. Heat over a low burner for a few hours, keeping a close eye that the water doesn’t evaporate out. Remove from heat and strain. For a slower, more traditional infusion: Cap the jar of lavender and oil and tuck away in a cabinet for around 4 to 6 weeks, shaking occasionally as you remember to. When the infusing time has passed, strain. This recipe uses the infused oil we made above. It’s great for rubbing on restless legs, tired muscles, and to massage on the temples and back of the neck when you have a headache. 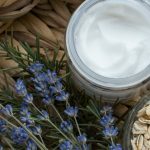 It’s also skin conditioning so will help any little dry skin spots you might have. 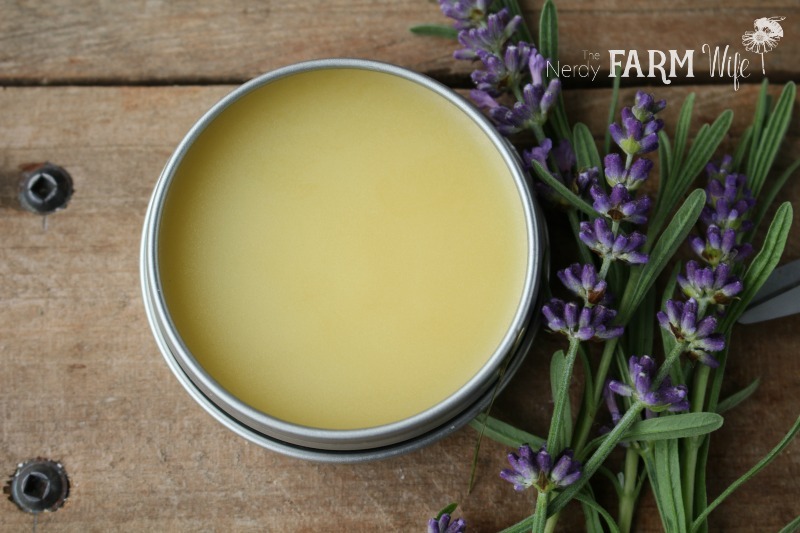 0.5 (15 g) beeswax in a heatproof jar or empty tin can. Set the jar/can down into a saucepan containing an inch or two of water. Place the pan over a medium-low burner and heat until the wax is fully melted. Add a few drops of lavender essential oil (optional) and pour into tins or jars. Shelf life of homemade salves run around 9 months to 1 year. Lotion bars are the best thing ever for dry, cracked skin. They’re easy to throw together and make wonderful gifts too! 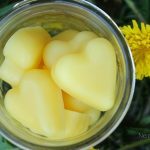 I usually make lotion bars with equal parts of oil, butter and beeswax measured by volume, but have also included the corresponding weights in grams, for those who prefer to use a scale. To use, rub a lotion bar over your skin wherever it feels dry. They’re especially helpful for spot treating rough feet, knees and elbows. 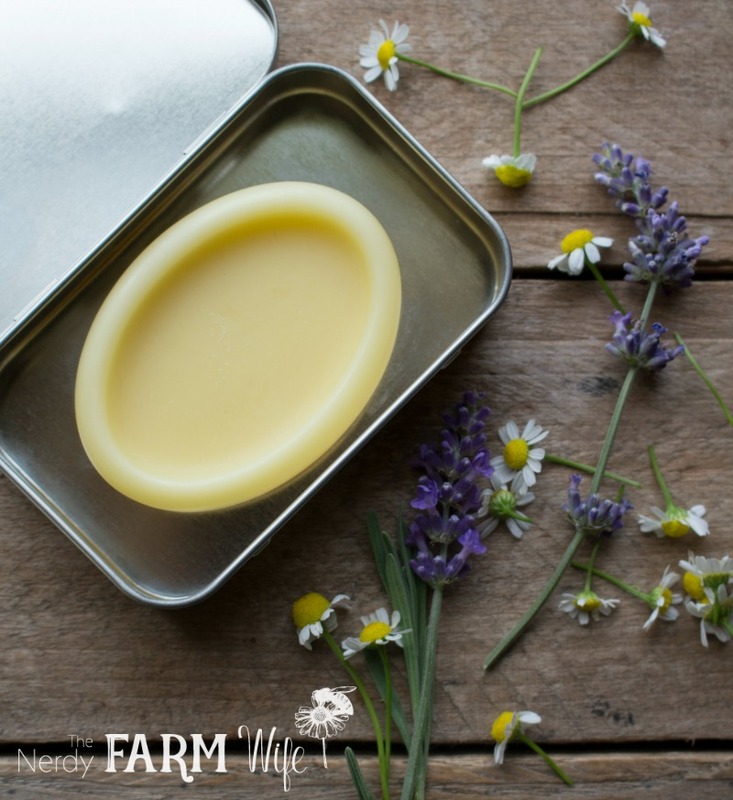 Store your lotion bars in a cool area, out of direct sunlight and they should have a shelf life of around 9 months to a year. 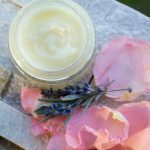 This lavender face cream is thick and rich, making it perfect for dry or mature skin. You can find the full directions to make it HERE. 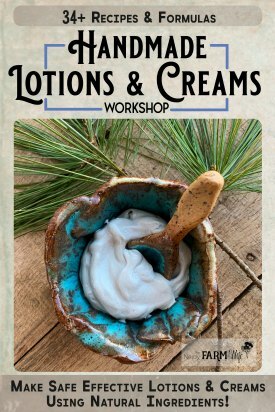 This luxurious hand and body butter is made with lavender infused oil and shea butter. The pretty natural color comes from adding a pinch of purple Brazilian clay. 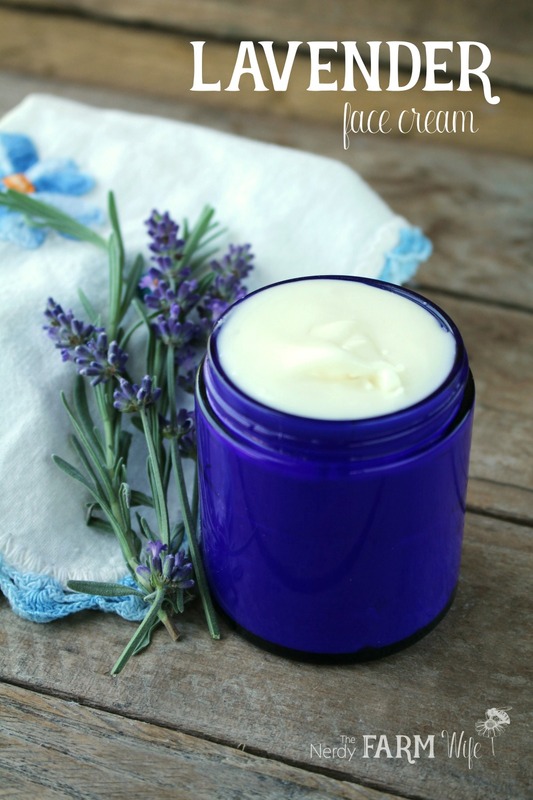 You can find the full directions to make Lavender Hand Cream & Body Butter recipe HERE. This scrub exfoliates your skin, leaving it soft, silky and smooth. It’s especially wonderful to use on your feet, elbows and knees. Combine all of the ingredients together in a bowl and mix well. Depending on how fine or coarse your sugar is, you may want to add a little more oil at a time until it’s a consistency you like. If it feels too oily, add more sugar. This is a lovely, old-fashioned soap that’s made with lavender tea and scented with lavender essential oil. It’s naturally colored purple with Brazilian clay, but you could leave that out for an off-white bar instead. 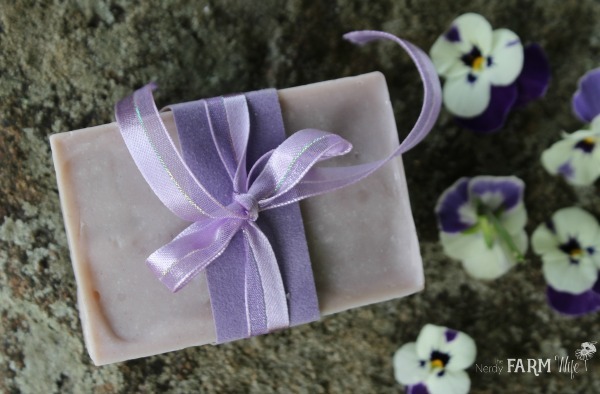 Find the full directions for homemade lavender soap HERE. According to Richo Cech in one of my all-time favorite books, Making Plant Medicine, some uses for lavender tincture include rubbing on your temples for headache or insomnia, applying directly to your scalp and brushes/combs to discourage lice, and diluted with water (30 drops in a 1/2 cup of water) to treat skin sores and infections. Fill a canning jar about halfway with flowers, then add vodka to the top. Roughly aim for a ratio of twice as much alcohol as flowers. Cap, shake and store in a cool dark place for four to six weeks before straining. Use an approximate ratio of 1 part dried herb to 5 parts alcohol. 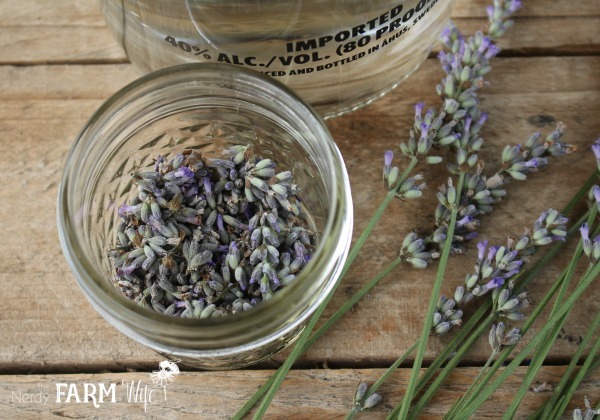 Add lavender to a jar, then pour vodka or other high proof alcohol over top. Dried herbs expand, so you’ll need to make sure to allow room for that. Cap, shake and store in a cool dark place for four to six weeks before straining. Shelf life of lavender tincture is at least one year, but will probably stay useful much longer than that. Store out of direct sunlight and high heat. 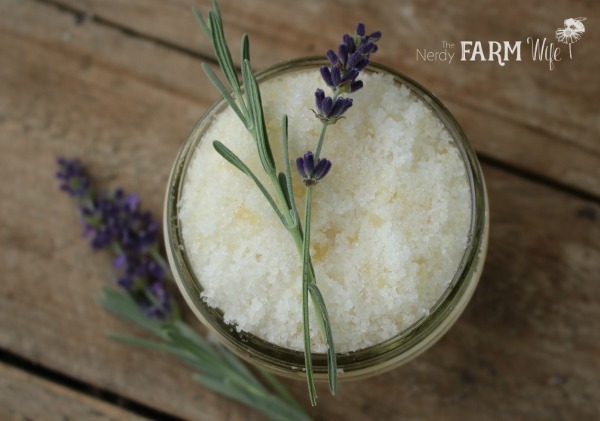 These lavender bath salts are incredibly easy to make. Pour them into a glass jar, tie a tag on with a pretty ribbon and you have a quick last-minute gift idea! Combine and store in a tightly closed glass jar. To use, pour the bath salts into a cotton muslin bag (like THESE) or an old clean sock. Tie up tightly and toss in the tub as it fills with warm water. You can use the full batch for one bath or split it between two baths, depending on personal preference. These bath salts will stay fresh and usable for around 6 to 9 months, or until the color of the flowers fade. 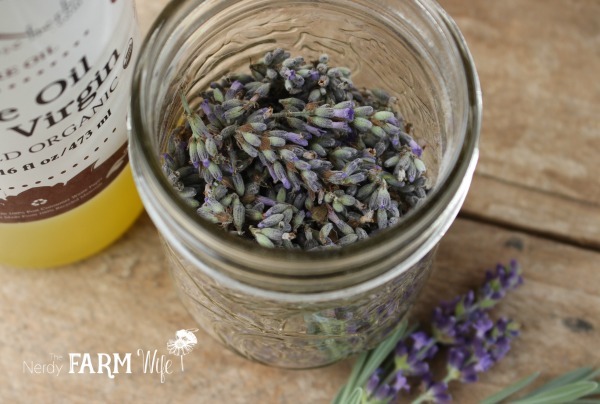 This beautiful lavender flower-infused vinegar can be used as a fabric softener, flea spray, hair rinse, glass cleaner and bath addition. 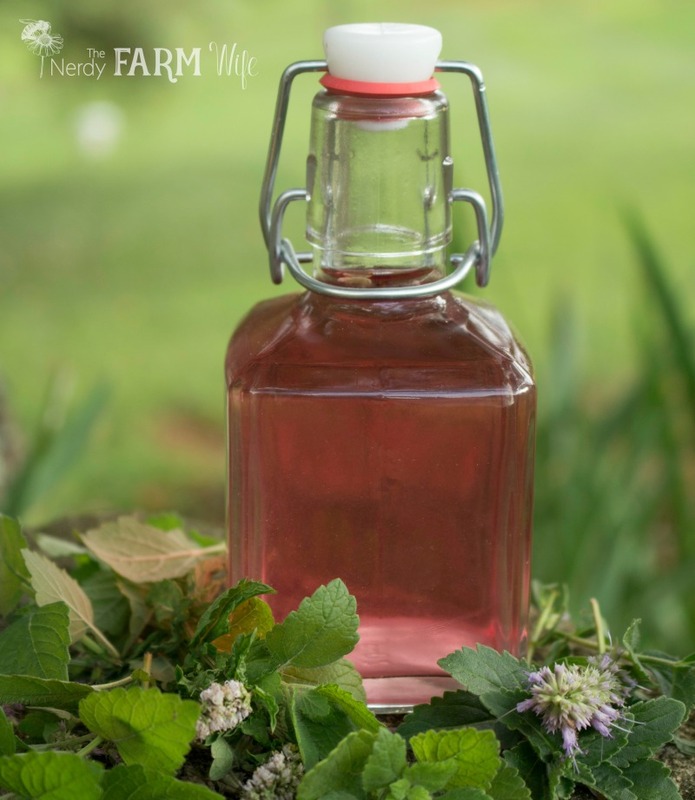 Click HERE to learn how to make lavender vinegar + 5 uses for it. 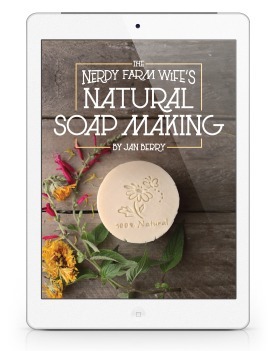 If you enjoyed reading about 10 things you can make with lavender, be sure to sign up for my newsletter HERE to get my best herbal projects, soap ideas, and DIY body care recipes sent straight to your inbox, once per month. Tagged lavender. Bookmark the permalink. You have so many ingenius uses for lavender you make me wish that lavender grew more vigorously so I could enjoy it more in zone 3. If I lived in zone 5 I’d have a lavender hedge. I love it. I want to make the lavender cream. I’m curious. Why include arrowroot in this product? What a great list! I just had to prune about 50 Provence lavender plants for work (I’m a gardener) and hauled home all the cuttings. I was wondering what I was going to do with them! Can I use the lavender leaves/needles as well for the infused oil? Do you know how to make a lavender sachet, or anything like that, for gifts? Thank you so much for all of the time that goes into helping others. I am curious what colour the lavender infused oil will be at the end.. Would it colour my soap at all? Pinkish or purple. Hi Carrie! The lavender infused oil will not offer much, if any, color to soap. Lavender tea, used in place of water, can sometimes color your soap tan or light brown if it’s very strong, but otherwise – sadly no color remains from lavender.